Farglory Hotel stands 220 meters high and covers dozens of hectares. With the mountains on one side and the ocean on the other, Farglory Hotel is close to Farglory Ocean Park. 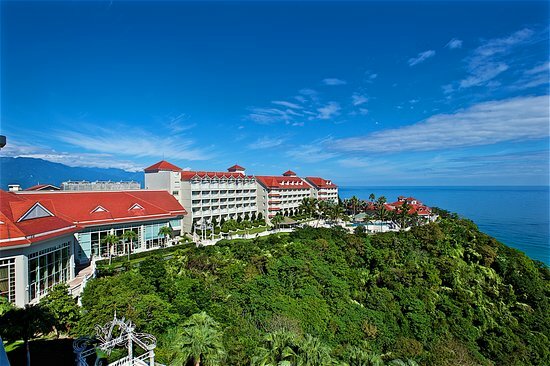 Be it of the nearby Mugua Stream, the Central Mountains, Hualien City, or the Pacific Ocean, the hotel offers an amazingly clear view. Close to 400 guestrooms and five luxurious restaurants and bars, Farglory Hotel can provide lodging for more than one thousand guests. 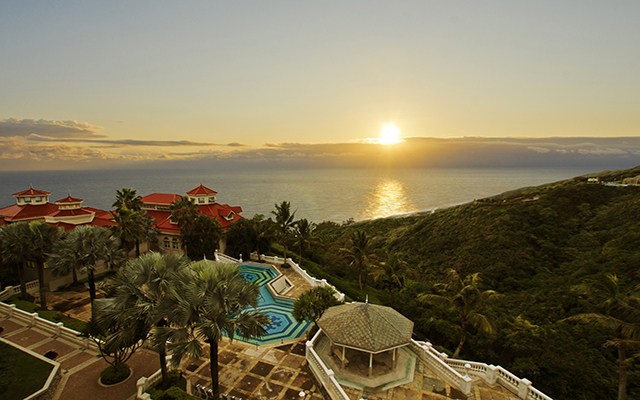 Of the suites, half face the mountain, while the other half overlooks the ocean. 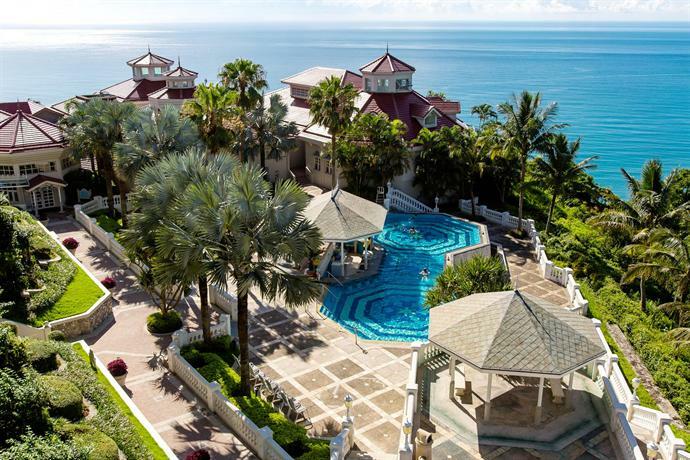 Featuring an inviting outdoor seasonal pool, Hualien Farglory Hotel has luxurious, air-conditioned rooms with a balcony offering mountain or sea views. A 15-minute drive from Hualien City. Guests also have access to an indoor pool, fitness room and spa centre. Other recreation facilities include a steam room and sauna. Farglory Hotel offers 16 uniquely themed suites, encompassing marvelous sceneries ranging from the ocean, sunrise to moonlit sea, the most remarkable sights on the Pacific Ocean. Mimicking England’s flourishing Victorian Era of 1837 to 1901, guests will be able to savor an exotic vacation ambiance. Farglory Hotel Hualien's interior décor draws inspiration from the elegant, classic, and extravagant themes of English architecture. Each room features exquisite oil paintings depicting 19th century England, taking the guests back in time and transforming them into English aristocrats. 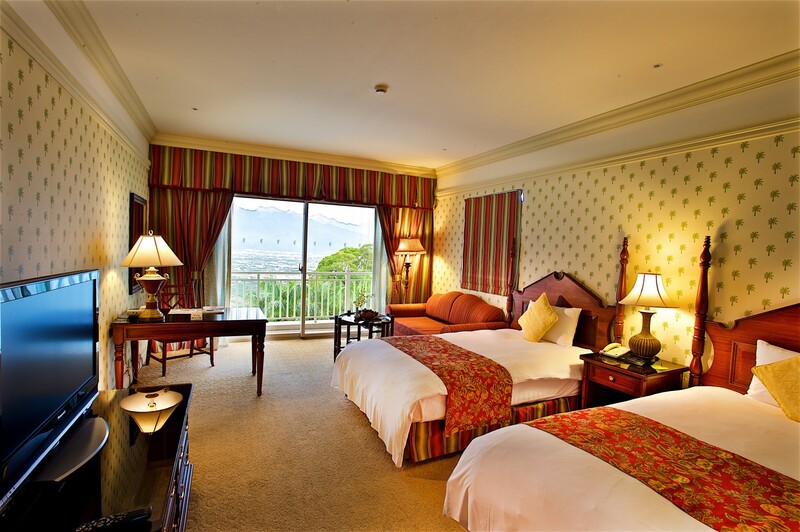 The Exquisite Room features a balcony that provides you with unobstructed view of the vast mountainside. The average room size is 36.3 m2, and they are located on the 3rd~6th floor of the north and south wings. 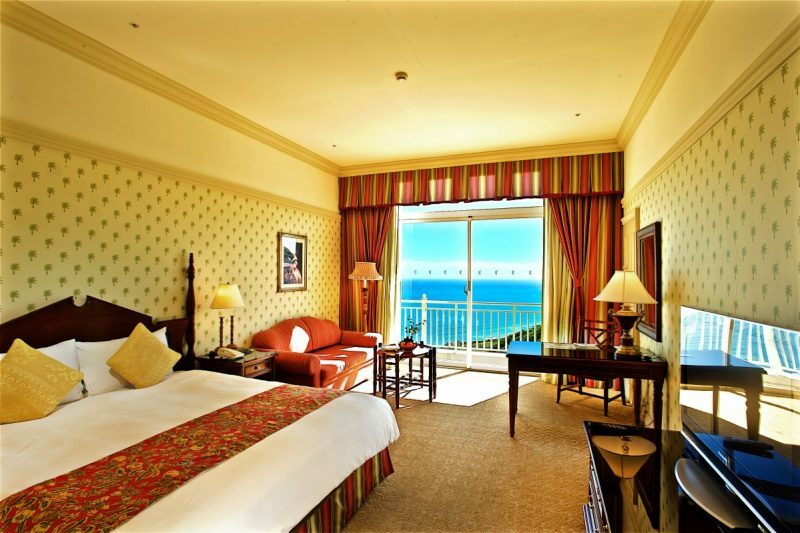 Lean against the window to catch a glimpse of the serene, azure ocean view that stretches as far as the eye can see. You will be immersed in the touching scenery of the drifting clouds and endless ocean. The warm, orange-colored lighting in the room creates an illusion of basking under the moonlight, while the English oil paintings on the wall and the red and yellow colored curtains evoke 19th century English architecture. With the blue sky and ocean outside coming through the window, you and your beloved can chat on the balcony and enjoy a romantic time together under the starry evening sky. Kick back and chat with your friends or share a laugh with your loved ones. Travelers staying in the room can unwind by the window, surrounded by the luxuriant greenery outside.